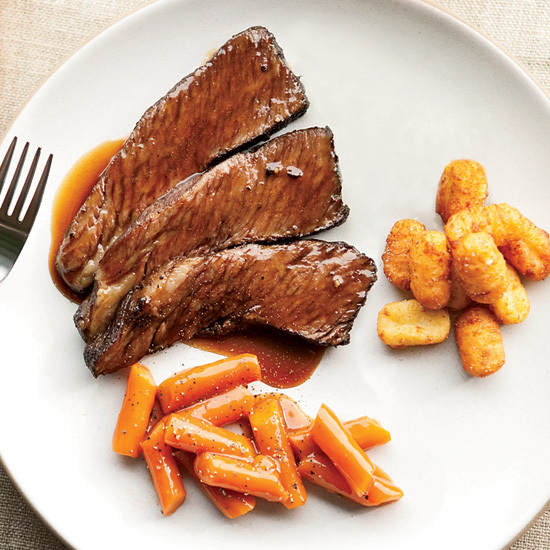 These mouthwatering combinations include a streamlined red paired with Indian-spiced short ribs. 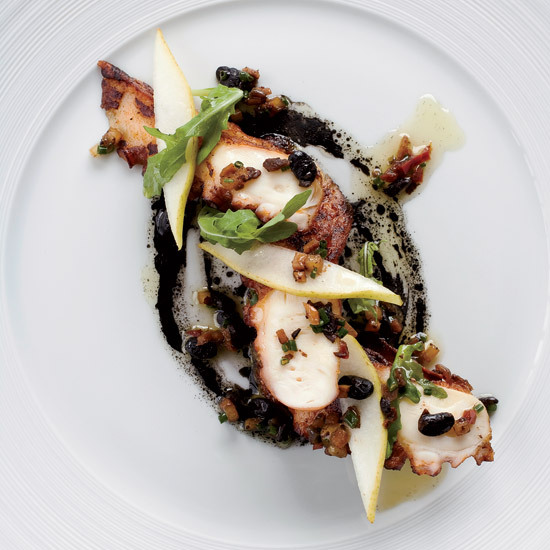 Le Bernardin chef Eric Ripert is a master at weaving together unexpected ingredients, like this tender charred octopus with a sauce of salty fermented black beans and sweet pear. Finding a wine pairing for such a complex dish, however, is a challenge. "It needs a very aromatic wine, just to stand up to all the flavors," says wine director Aldo Sohm. In one version of this recipe, David Burke makes a deviled egg salad spiked with hot sauce, mustard and Worcestershire sauce. In another version, he flavors the eggs with truffle oil and curry. 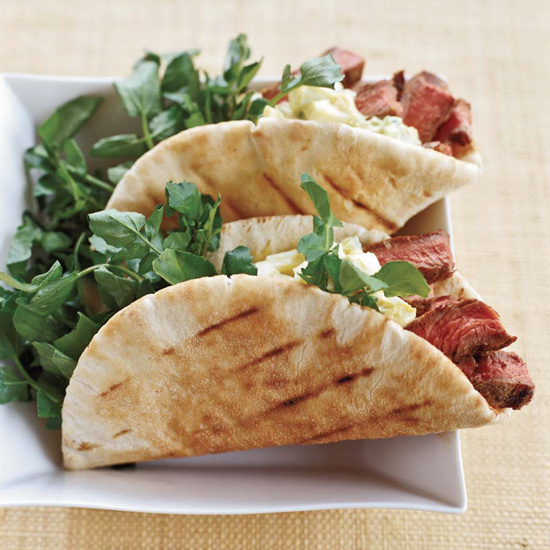 Both egg salads get carefully scooped into egg shells, topped with diced beef and served with pita on the side. 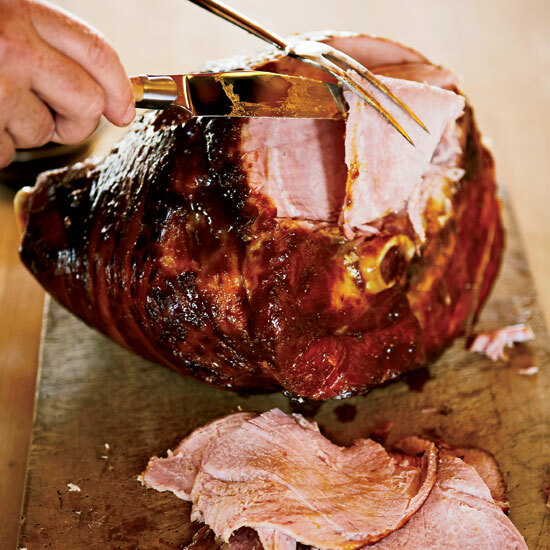 Most smoked hams are sold fully cooked, so "why bake them again?" meat master Bruce Aidells asks, before answering his own question: to improve the texture and add a homemade glaze—in this case, one made with Dr Pepper soda and prunes—for extra flavor. After the ham is cooked, Aidells reduces the pan juices and tosses in prunes to make a sauce. "Glazes flavor only the outside of the ham," he says. "But you can spoon pan sauces over every slice." The recipe can be prepared ahead through Step 4; refrigerate the meat and sauce separately for up to 3 days. 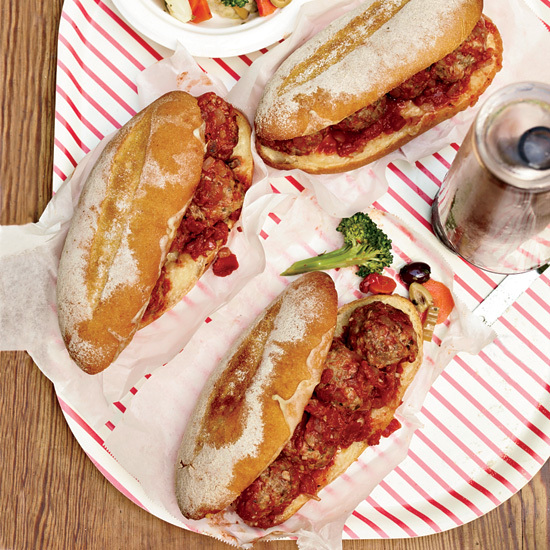 Neal's Deli serves tender, oversize pork-and-beef meatballs stuffed into a warm hero roll with melted provolone cheese. Although Matt Neal makes his own chunky tomato sauce for the sub, it's fine to substitute six cups of jarred sauce. 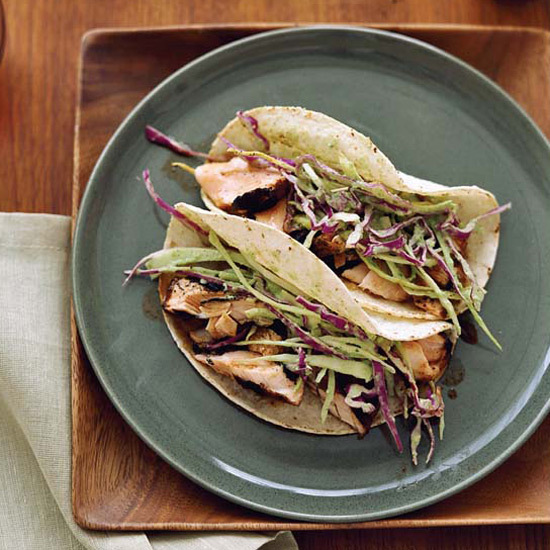 For maximum flavor in minimal time, chef Jeff Smith opts for spice rubs over marinades. After experimenting with spice blends for heartier fish, he discovered that a big pinch of ground coffee lends earthiness to the rub. 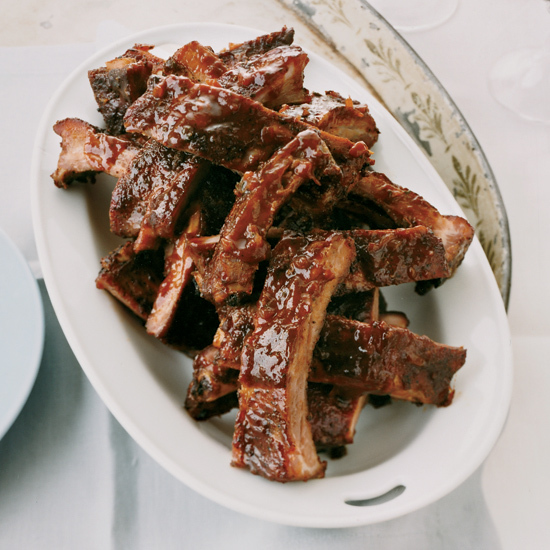 To create the flavorings for these ribs, Donald Link combines eight spices for a rub and prepares a barbecue sauce with homemade pork stock. Classic eastern North Carolina barbecue sauce has a vinegar—not a tomato—base. 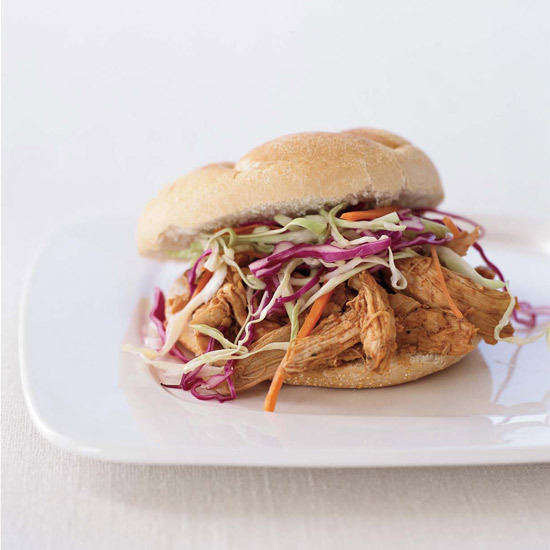 It's delicious tossed with pulled chicken instead of the usual pork, and served the traditional way: piled onto soft buns and smothered under cold, creamy coleslaw. 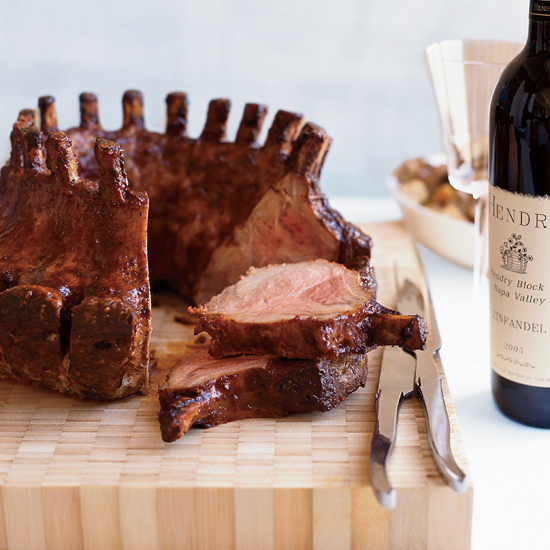 For the regal—and expensive—pork crown roast, F&W Test Kitchen Associate Melissa Rubel Jacobson replaced the run-of-the-mill garlic-herb coating with a smoky harissa version. "I love the way it turns from a paste to a crispy crust," she says.